SEM University Results 2018, Score Card, Merit List :SRMJEEE Entrance exam has been conducted by the SRM University from 6th April 2018 to 30th of April 2018 in order to give the admission for the candidates into various Under Graduation Engineering programs in the university. For the academic session 2018-19, the SRMJEE Exam was organized in the online mode on the respective dates for all the UG programs entrance. Though until last year, the exam has been organized in online and offline, this year the exam is conducted in only online mode. According to the reports, thousands of candidates who are willing to take admission in to various Engineering programs have appeared for the SRMJEE exam in almost 200 examination centers that are located at 150 various cities all across the nation by the university for filling up the 7000 Under Graduation Engineering sates in Ramapuram, Kattankulathur, Ramapuram Part – Vadapalani as well as the NCR Ghaziabad campuses of the university. 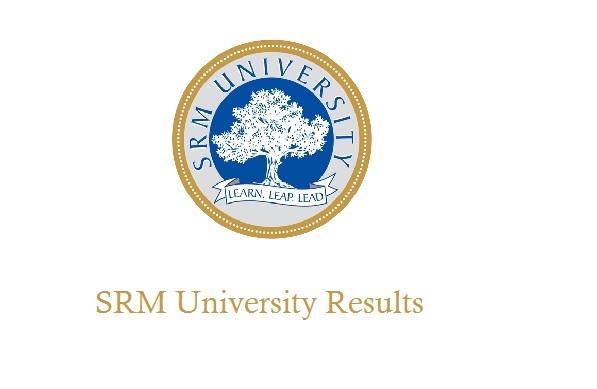 For all those candidates, the SRM University has is going to release the SRMJEEE Results 2018 on 1st week of May 2018 (tentatively). So, the students who have not checked their result till now can visit the official portal and check their SRMJEEE Results with the help of the below-given process. The SRMJEE result, scorecard, and the rank will be declared in 1st week of May 2018 as per the estimations. The SRMJEE score or the rank for the exam has been calculated in the +3 -1 mechanisms. SRM University both sectional wise and overall score too. Based on the score or the rank obtained based on the above process, the candidates will know whether they are qualified in the exam and whether they are eligible for the counseling process or not. The SRM university is going to release the SRMJEE Merit list 2018 with names of qualified aspirants. which is completely based on the score or the rank obtained by them in the SRMJEEE 2018. The details of the counseling process for the SRMJEEE 2018 are given below and the qualified candidates can refer it and follow it accordingly. The next level after the results are issued by the SRM University for the SRMJEEE 2018 is the counseling process. Based on the rank obtained in the SRMJEEE 2018, the sear will be allotted for the candidates. The counseling will be done in scheduled dates for the aspirants got ranks. The dates of the SRMJEEE Counseling have been given by the university and they are as follows. The first round will be conducted in 2nd week of May 2018 (tentatively). Also, with the result, all the qualified candidates would be receiving the Call Letter which will have the details such as counseling Venue, date, and timings etc. So, check them and do follow it. How to Checking SRMJEEE Results 2018? Visit the SRM University portal, srmuniv.ac.in. On the homepage search for the SRMJEEE 2018 Rank or Scorecard link and click it. Singin with Login ID and Password following the instructions. Finally, click on the SRMJEEE 2018 Result that will be displayed on the screen and then Download your Result. Take the printout of the result after checking it for your future reference such as for counseling etc.